Wow, I have really gotten out of the blogging swing of things haven’t I? I feel a little ashamed of neglecting my poor little blog. Between work and grad school things are a little busy these days! 21st Century Skills, a frame work for educators that keeps in mind skills that are necessary for students to practice and eventually master before they enter life after school. How to cook, how to balance a checkbook, operating a computer, listening, being flexible, creative, knowing how to collaborate with others, simple skills that you might be teaching already or might not be. I know when I went to http://www.p21.org and started to look at what these skills were, I reflected hard and realized I could have been doing so much more. Leadership stood out in this list of skills necessary for students to master. Why? because we certainly have started to do less and less of it and we need to do so much more. I know so many teachers who have a hard time giving up the front of the room to someone else. In order to teach students how to lead, the best teachers give a little bit of their time to their students. I remember having one student who was the most quiet one in the class, I coaxed her to lead one activity, and by the end of it she had gone from the quietest to the most outspoken but in a great way. She went on to do great things and always thanked music class for helping her break out of her shell. Leadership encompasses other skills like responsibility, accountability, and flexibility into one super skill. They learn so much by just by learning how to lead. 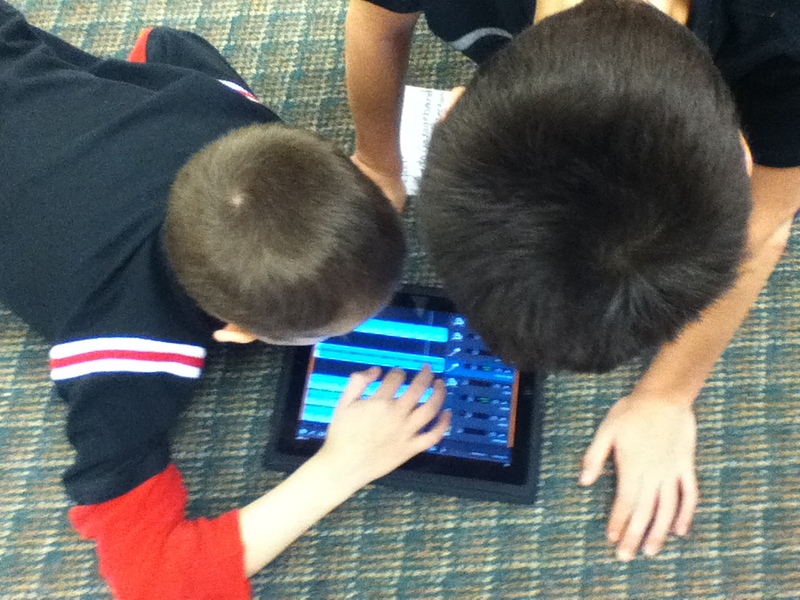 What things can you do to promote leadership in your music classroom? Leading Activities: from showing off their mad recorder skills and teaching the class their next song to using interactive activities like the ones in Quaver. It doesn’t have to take a full class. 5 minutes of time to lead an important part of the day while you step back to guide and support can be such a difference. Have a new “conductor” each class, or have a “teacher assistant” who takes attendance and starts off class or ends it. Teaching and learning is a collaborative effort. Discovery Learning: Can start out as a project, or maybe just a center or even the motivation to go learn more! Give students the responsibility and choice over some of their learning and let them go where their interests lie. It relates to their life, they feel like the leaders of their own educational ship, and it allows you as the teacher to step back and give them a bigger role as they sail their own learning ship. Choice: Biggest out of all three and so easy to do. Give them a choice at the end of class on how to line up, choose a song to move to, maybe even fix up your agenda to a way they want it. If you set down lines early they will know how far they can go without going too far. Little things like this make them better, ready to make the world an even better place because they are not afraid to stand up and make it right. How do you practice being a leader in music class? What activities do you do that they can lead? I will admit that this is a homework assignment from a grad class. It was too good not to share though. I am totally and completely in love with it. Some days I wish I just had a class in my back pocket that I could test all these crazy ideas with. This post is from the POV of a class creating these rules and overall webpage. The purpose of this project is to connect with many other music classrooms from all over the globe in the spirit of music and sharing. Students will learn about each country they connect with, share traditional American folk songs with other students in other countries, and learn a traditional folk song from the visiting country. This project will promote connecting with others on a global scale through music and appreciation of cultures other than their own. The final product will be a Google Map showing all of the places we visit. Using the website Skype Classroom, we are connecting with classrooms from around the world who are looking to connect musically like us. Once we find a class to connect with we schedule a time that will be good for the both of us. Then we will go into our regular classroom and with the help of our classroom teacher, we will research more about the country our new friends are from. Taking the research we get from class we will pin it to our new map of all the countries we visit virtually. In music we will choose and learn a traditional American folk song that we will share with our friends when we Skype. We will also be sure to invite our school and district administration to come see us connect with our new friends. We will be sure to remind ourselves of our classroom rules and show respect to the class we are going to be talking with. We will remember to listen and know that we are representing our school and country. We know our teacher Ms. Dwinal will have tested the connection already so we don’t have to worry about technology problems. Our singing voices will be at our best. We will ask well thought out questions to our new friends, and give our best answers to theirs. We will be excited to meet kids like us from a different culture and share our music! We will add our new information about our friends to our map. Our class will reflect on how it went and what we learned for the future. Want to see where we’ve been? Research about the country they will be Skyping with. Represent their country as they Skype and remember classroom rules. 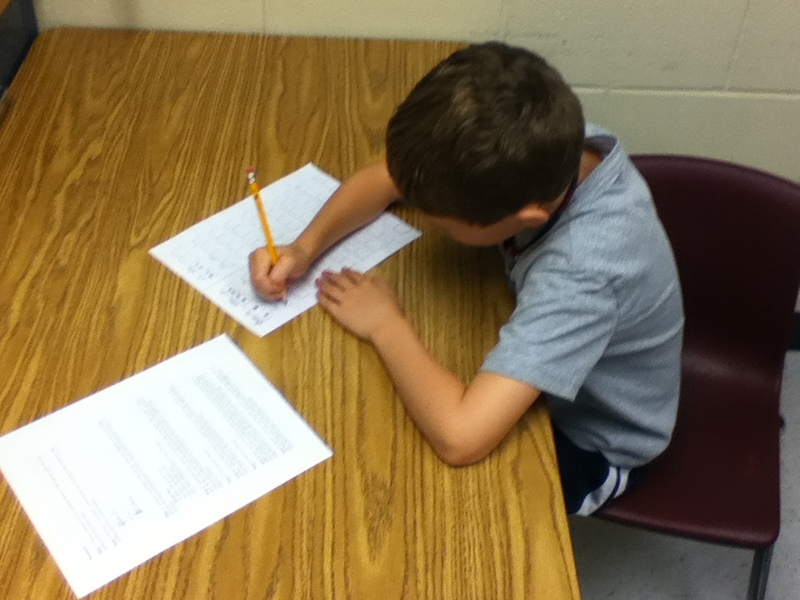 Reflect as a class and fill out the Student Response form with individual reflections. Has it really been a whole month since I’ve posted? Wow I’ve got to get back on schedule. It’s been a whole lot of travel, grad class work, and real work. Life huh? So as I’ve been traveling around my mind has constantly gone back to best ways to show student progress. How can we step away from number and letter grades and truly show student growth through physical product and having students actually demonstrate learned skills? Let’s face it, an A, a 4 or even a 99 doesn’t mean much when you try your hand at the real world. Its the skills you’ve mastered and the things you’ve done that truly count and what students should be striving for. How does this translate into music? One of the rebels standing up for performance and demonstrating ability rather than stamping a grade on creativity. Easy, taking those performance opportunities, those composition activities, and even the small victories in class and archiving them. Taking those curriculum standards and create phrases like “I can” statements or status markers and connect those statements and markers to the archived moments. Imagine showing that to the parents/family instead of an A on a piece of paper? Means so much more. Also showing them products students created in class.Many website creatives now offer the ability to email parents while they are at work. Shows them in real time what their students are accomplishing, and you can save and store most of it when it comes time for report cards. 1.) Videos of performances: They are already showing their mastery of a concept while performing it to a crowd, video it and archive it for their portfolio showing off their hard work. This also goes with taping in class performances and such. 2.) Recordings: Do you know how easy it is to whip out a recorder and carry it around the room with you as the class practices their songs or does their warmups. You can do it as a class or have them say their name as you go around and continue singing of playing. Soundcloud was always a favorite recorder app because I could record and instantly share. 3.) Compositions: There are so many composition tools out there now thanks to the World Wide Web, have students show their knowledge by creating and composing and then save their work to put away for later. Stuff like the Quaver Creatives or Incredibox are perfect examples of this. Three Ring – Awesome app that allows you to capture right there in the moment! GDrive– A lot of schools now are Google schools and have access to GDrive easy and free! Evernote– My favorite. Can be synced from any device and holds a lot of portfolio artifacts. If you could throw out grades, how would you document student growth? Technology now a days changes at the drop of a hat. One day CDs and DVDs are the new thing, next thing you know you have issues finding any machines that can use them because digital downloads have become so popular. Laptops use to be the new and innovative one to one device for schools, now Chromebooks and iPads have taken over the technology departments and classroom carts. Why? 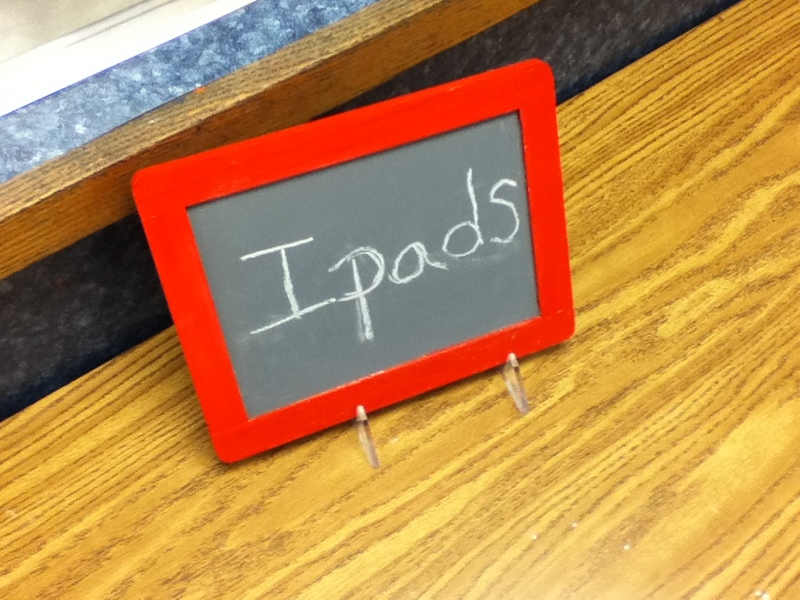 not only are they cheap but they last longer, meets student’s fine motor skills more on their level, and they have hundreds of thousands of apps that can be used to enhance student learning and experiences in the class environment. Normally you would hear a response of “Well, you can use this app, this app, and this app” but to properly use these new devices in the classroom..don’t you normally have to see what the classroom is like first? Focus on the skills being taught and the activities or projects being executed in order to properly use the devices in a way that will make meaningful experiences in the environment. How would you use an iPad in each category? Would you project it on the screen and use a notation app to teach quarter notes? Covering as a music device and as a teacher presentation tool? Or how about having a research center where students look up student questions and write them down in a collaborative glossary? Can you imagine instead of stopping class to answer a question, saying “why don’t you go find the answer for us and report back?” Turning spoon fed robots into innovative thinkers! The toughest thing sometimes is finding apps that fit what YOU want them to do. There are thousands of apps out there but not all of them work the way you want. I love those innovators that teach their students how to code apps that fit their needs but if you aren’t too comfortable with that yet sites like App Crawler help teachers discover programs that will help them with activities and lessons they are planning. Integrating devices can always be difficult at first, but planning out your lesson first and then figuring out which activities would be enhanced by a device and THEN seeing which apps would fit into your plan. The more you do it and the more you do it right the easier it becomes! How would you integrate mobile devices into your music room? Substitute.. Most arts teachers cringe at the word just knowing whatever plans we create are most likely going to be thrown out the window by a non music trained sub who turns on the nearest video or presses play on the CD player opting for the zoo like dance party. So how can you prepare so this does not happen? Unless you know you are going to get an actual music trained sub it is hard to leave full lessons behind. You have to come up with activities that anyone walking off the street can do… Unless they have their own agenda..did you know that one time I had a sub come in and did her own lesson on Shakira?? I don’t know why either..
Projects– If I knew when I was going to be out a few weeks before hand, I would create some project that reflected as an assessment or review to what we were learning and would explain everything to the kids the week before. So as soon as they walked into class with the sub the next week they knew exactly what to do. I had them writing songs or poems for lyrics, maybe coming up with a play about a composer, or even write graphic organizers around a topic you have been discussing to visually map out their new facts and thoughts. Video instruction– Leave the teaching out of the equation for the sub and you do it! Film a mini lecture or the instructions you want to give the students and have the sub just play the video and facilitate the activity. Make it fun and pretend to be in an exotic location and make part of their activity to guess where you are and the links to the music they are studying. Movement breaks– I had a huge list of dance videos and left my computer logged in. All the sub had to do was get online and click the YouTube Dance List in my BookMarks Bar to access everything. Link to the Playlist There are so many videos in here it could keep the average student occupied for HOURS. Madlibs– You can take pre-existing mad libs or ones you create yourself and have students put in music vocal words they have been learning. Movies– Another great assessment tool, could be about composers or styles, maybe you want them to write and perform a song for you. 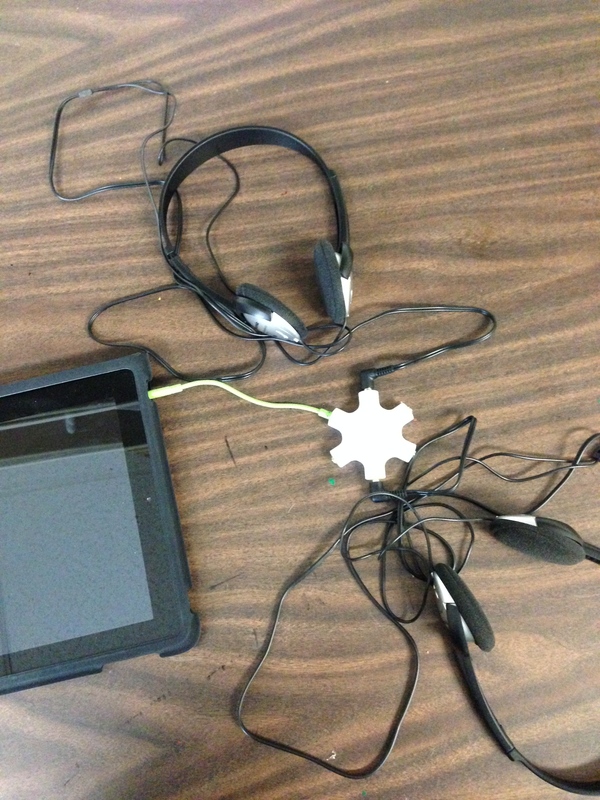 You would need a handful of mobile devices such as iPads or iPod touch for this to work but if you have a 1:1 school or a small cart you can rent out from the school media center it would work great. Go a step further and have the kids email the videos to you while you are out so you can keep tabs on their work! I know movies are simple to leave and to have kids watch, make sure to leave something for them to do while they are watching such as a worksheets or graphic organizers. Writing– Simple and straightforward, have them write a play using song lyrics only, or maybe an opinion piece on a certain period in classical music. You could also have them write song lyrics or reflection papers on the unit they have been working on. What do you leave for substitutes while you are out? So I am totally loving my grad classes already. They give me inspiration for more activity and project ideas. There is always a little spark that wishes I was back in the classroom to try all it, but then I start thinking how many ways I can help teachers do this sort of stuff and my mind goes in a whooollleeee new direction. So this week’s assignment was to create two podcasts that would fit with my content area, sure it sounds easy enough. When your someone like me though it takes a while to nail down a solid idea that will actually work and is COOL. Never half do anything, who is going to listen to it if it doesn’t have the wow factor? 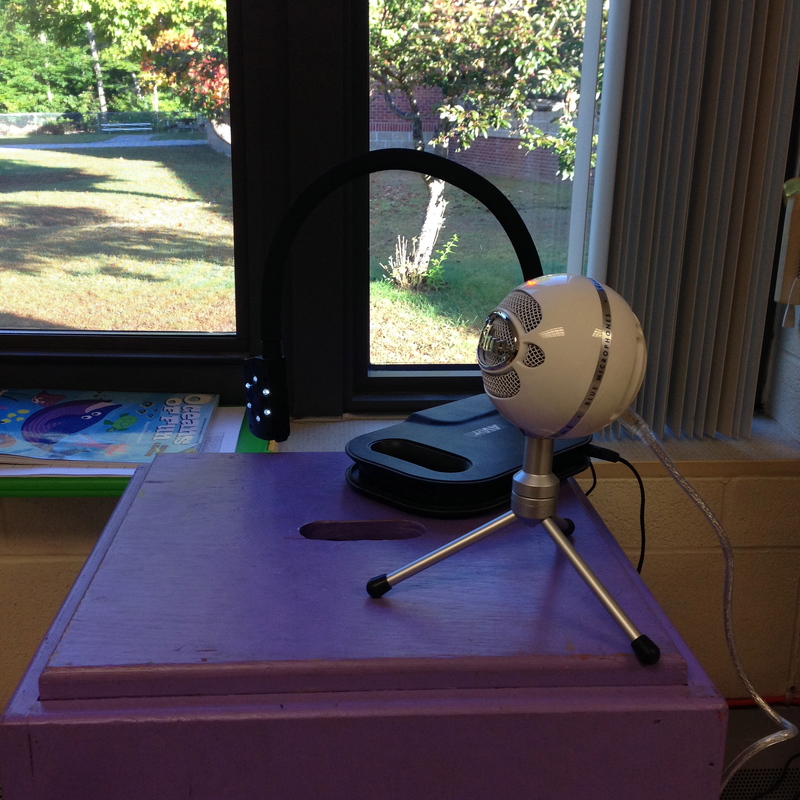 Podcasting is teaching outside of the classroom, allowing students to take learning further, podcasts give teachers a chance to flip the classroom teaching as homework and practicing and applying in the classroom, podcasts even work as a way of showing student knowledge in a different way. I’ve heard many friends flipping their ensembles. Providing videos or audio tutorials on different playing techniques they want the students to master and then just rehearsing during actual ensemble time. How about flipping your recorder program, practice at home, play at school! Its also a great way for students to research and show off what they learned in a format other than typing a paper. What do you need to make a podcast? It’s actually pretty simple. You’ll need a device to record. Preferably a laptop. Don’t forget to download recording software! Audacity is a really good program to try. Make sure you create a script, you might think you can free style but it is so much easier to get everything in with a point of reference! Also, practice practice practice before you record! Most sites out there usually allow you to share videos so turning your podcast into a YouTube Video is usually easiest (Throw the audio into iMovie. ) You could also use a song sharing site like SoundCloud, or even drop it into DropBox and share the link. If you were to put together a podcast, what you you talk about?